80% – 100% bonus when you buy Hilton Honors points – save 55% in The Maldives! 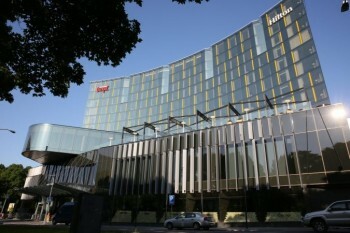 Until 18th December, Hilton Honors (the new-ish Hilton Tallinn Park, reviewed here, is pictured below) is offering an 80% or 100% bonus when you purchase 10,000+ points. I have been offered a 100% bonus but I know some people are only seeing 80%. Regular readers of Head for Points will know that I tend to value Hilton points at 0.33p each. You are paying 0.38p ($1,600 / £1,222 for 320,000) here if you buy the maximum so the maths in general doesn’t work. Hilton also does ‘five for four’ if you have Hilton Honors status. As Hilton will status match you from any other hotel scheme where you may have status, most HFP readers should qualify for this. Taking 10th – 15th February as an example, five nights would cost you (95,000 x 4) 380,000 points which would cost $1,900 with this deal. A non-refundable cash rate would cost $4,558. Similar deals are available at peak times in other major cities. Conrad New York, for example, costs $3,693 for a five-night stay from 1st to 6th December. Buying 320,000 points via this deal would cost just $1,600. Conrad New York is an ‘all suite’ hotel which I recommend. You can buy points via this link. The offer ends on 18th December. British Airways has announced a six-month trial of the Pressreader service. From now until May, BA customers who booked via ba.com, or who are physically in selected BA lounges, will be able to download more than 7,000 newspapers and magazines to their mobile device before they fly. A link will be sent in your pre-departure email, 24 hours before your flight takes off, and will remain active for 72 hours. The content does not expire, which means that you can download a holiday-worth of pool reading if you wish. The content covers publications from 156 different countries in 63 languages, so it will be difficult to claim that you can’t find something of interest! Flybe is offering 15% off all flights to and from Belfast City which are booked by 16th November. 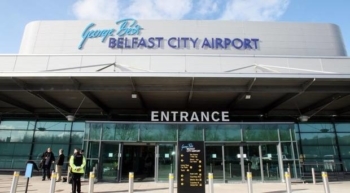 The promotional code is valid for flights booked between 02.11.18 – 16.11.18 departing between 07.01.19 – 31.03.19 on direct Flybe operated flights to and from Belfast City Airport (excluding codeshare and franchise partners) and is applied against the gross seat price displayed at the point of booking. Valid only for web bookings made on flybe.com. Offer is subject to availability and cannot be used in conjunction with any other offer. The code you need to use on flybe.com – and which is case sensitive – is BELFAST15. Remember that you earn Avios on all flights booked on Flybe. Details of their Avios scheme are here. Erk..pressreader. Does this spell the end of free newspapers?! That’s what happened with Lufthansa… One or three free downloads depending on the ticket and newspapers only available in a few places outside of lounges. The same happened in my IHG hotels. IC Berlin has unlimited downloads, but no physical newspaper anymore. At Edinburgh Airport, out towards gate 20, there is still a broad range of free newspapers in the departures area. Scotsman, Times, Super Soaraway Sun and others as well as a selection of content-light free magazines. I usually walk along to kill time and grab a Scotsman. I’m not sure who pays for them or why they are there. The WH Smith opposite sells them! ………kill time and grab a Scotsman. Remind me not to wear a kilt next time I’m at EDI !!! Gatwick has surprised me by having some nice freebie newspapers on the way to the departure gates. The Sun, The Times, Evening Standard, Metro (I think!) plus a few other niche things, seems best selection in the middle of the day. It’s come to something when the newspapers on the way to the gates available for everyone, are better than the selection has sometimes been in BA lounges! I’m sure someone will complain that they can’t find Serbian Mountain Walkers, Lake Swimmers and Accordian players Monthly in the download list and that once again shows how far BA has fallen and they’ll never fly BA ever ever again. I love reading SMWLSAAP! I didn’t know it had any other readers in the UK ???? It’s not the same since they replaced the editor. There is now far too much attention to the accordion for my taste. Agreed. Tried it there and thought it was great. Much better than the Aussie tabloids on offer, or a 3-day old copy of a UK broadsheet. Agree, really enjoyed having access to it on all my internal Avios-booked QF flights! oh that will be the Intern ……oh wait they don’t start until Monday……. Read some people have done quite well with 29 ways Marriot online game!50 points or an entry almost every other day here! Let’s wait and see when the points will be posted!! Yes…..hard to believe there are more Sheratons worldwide than Marriotts – even excluding JW’s and other derivatives with the word Marriott in them! I think I’ve totted up about 5000+ points altogether – Played about 21 days out of 29. Looking at the days I played, it’s clear that HfP is part of my weekday morning routine as it’s mostly Saturday and Sundays that are missing. I haven’t totted them all up exactly, but I think I won about 2,000, and Mrs Mc about 5,000, so it has been a decent promotion for us. You all must be very lucky so well done. I played probably 20 days for my wife and I but only got 50 points or an additional entry every day. What isn’t immediately obvious…. You won’t find press reader on the BA Web site. To gain access, you need to follow a link in your “get ready to fly” email, the one that they send as check in opens. I’ve used Pressreader previously and have never been able to find the excellent Serbian Mountain Walkers, Lake Swimmers and Accordian players Monthly. This is yet another example of BA devaluing my experience and points to further erosion of this once great flag carrier. I am so dissalussioned that I will state now that I will never fly them again whilst I continue to regularly give them my money and fly them again. 🙂 in all seriousness though, and I don’t know if it’s now a reflection on what I’ve become, but I can’t remember the last I picked up a physical newspaper. I have a free FT sub through work and get all other news via free outlets through my iDevices. Even when I decline papers at hotels they then appear and go unread. Same. I havent bought or used a hard copy for years. And I have never read a digital version of anything where there is a real, paper version available. I have tried to read short stories on my partner’s Kindle, but I lose interest after a couple of pages. And I find tablets nearly unusable. The only digital thing I read regularly is HfP. If the articles were available as pdfs I would probably print them out (on the back of scrap paper) and read them that way, except for the fact that the comments are at least as interesting as the articles (some of them, anyway!). As to why free sheets are still printed, it is simply a matter of seconds to pick up a copy, whether new from a stack or a copy that someone else has left on a bus or train. It must take much more conscious effort to download it. And I would guess that on average each copy will be looked at by 4 or 6 different readers. A downloaded copy is probably looked at by just the downloader. Further, if there is a single article or advert that you want to keep you just tear it out. You cannot do that with anything like as easily with a digital document. @RussellH Print screen? At least that’s how I save interesting things before doing something about it (e.g. adding to holiday spreadsheet etc). I always read digitally too, but reading a newspaper on a plane is one of the last remaining non-digital pleasures! Or over a hotel breakfast on the mornings you have the luxury to spend a while. Sunday Times delivered to my house every week. Cant imagine cancelling it. I dont want to spend hours staring at a screen to read it. (Beyond the 60 hours a week I already do). +1 I see enough screens all day with my work. Need to switch off sometime and look at paper or a real book. Having said that I’ll probably spring for the new Kindle…. it save so much weight of books flying. You can give http://library.pressdisplay.com/pressdisplay/viewer.aspx a free trial right now if you wish. It is ‘by’ Pressreader so presumably similar to the BA version. I’ve never tried downloading anything so not sure if that is an option. To get in, use your library card number or try a random one along the lines 800158741.
no time right now. will hope the link you kindly give will work when I get to it. Wasn’t there something else libraries are also offering now for digital downloads? OT: Amex travel. I have the offer on my Platinum card. I tried to book a car hire but it wasn’t going through so live chat suggested i call the Platinum number. The transaction is now showing as “AMEX PLATINUM & GOLD CARD TRAVEL SVS” as opposed to all others “Amex Travel”. Do you think the car hire will count towards my £600 spent? If its a weekend with Hertz or Avis it will probably cover your £600 spend and some!!! OT: does barclaycard(Hilton) treat Revolut as cash advance or purchase? Hilton St George’s Park? We have reviewed. I’m mainly going for quiet hotel, nice room and nice area/grounds, don’t care about restaurant or pool. Don’t mind paying a bit more or in cash if it’s really nice, and I have Gold in both M and H.
Personally, I’d probably look for somewhere in the Lakes – but would be cash rather than points. I’ve given up on the Lakes – it seems like a beautiful idea until you’ve sat in traffic for 2 hours either way and I only live 60 miles from Windermere! Moral, avoid the A591 through Winderemere, Ambleside and Grasmere at weekends in season. (One of attractions of living in the Lake District is driving south through these places on a Friday , or north on a Sunday – and gloating). For the Lakes. I would head for Ullswater instead. A few nice hotels and you do not need to come off the M6 until Penrith. I got a really good DBB deal at the Chester Doubletree for a Sunday night in December, £175 for 3 of us in a family room. I’d also booked a couple of massages and am planning to use the £50 back offer. The North West isn’t well served in any respect (I’ve cancelled my National Trust membership as well! ), although Liverpool is a great city to visit these days, much nicer than Manchester IMO (and speaking as Mancunian by born and bred!) and has some very nice hotels, including a couple of Hilton properties. It is a nice hotel but our room smelled badly of damp although I could see no visible signs of it (windows don’t open so a ventilation problem I think). Older rooms might be better, perhaps others can comment. As an escapee from London (the exact opposite to Rob!) I like Manchester, but have been very pleasantly surprised by Liverpool. Stayed there for a weekend last Feb at the Aloft former Royal Insurance HQ) at the silly price of 3000 SPG points per night (cash rates were around £120, but if Liverpool are at home it can easily be twice that. I suspect that Everton do not have the same out-of-town following as Liverpool). Liverpool has more listed buildings than anywhere in the UK outwith London. And the excellent Museum of Slavery tells you very clearly where all that wealth came from. If you have not (yet) been, go. Thanks guys. St george’s is full. Chester has availability for sat night when I wanna go but was looking for something else. I could have sworn there was a country hall from Marriott near Bradford but it’s gone from the site. What about Marriott Preston, anyone got an idea? I have not been to the Prerston Marriott for a few years now. It was the first Marriott we ever went to, I think, when we first discovered loyalty points. A pleasant green approach, but TBH the hotel never struck me as anything special. Perfectly comfortable though. It is probably the best base from which to explore the Forest of Bowland. As I mentioned above, no fancy hotels, but there is excellent food to be had. What about Ludlow? I remember an excellent foodie weekend staying in Ludlow, it was awhile ago though. There definitely is/was a Marriott country hall near Bradford, my old boss used to stay there each week. No idea what might have happened to it. Do you mean Hollins Hall Hotel, Golf & Country Club? It left Marriott early this year. The LH offering is very limited, I downloaded the Beano recently in the absence of anything else I had ever heard of. It was a bit of fun fifty years later though! Beano is still worth a look, I reckon. I shall admit to some childish behaviour over 40 years ago when I was working as a research assisitant in an American university. Montreal was only 2 hours drive north, and WH Smith at the railway station sold the Beano, so I always picked up a copy when visiting. I pinned up the centre double page spread of the Bash Strret Kids on the outside of my lab door; once I opened the door to find a huddle of very young (presumably freshman) students who had been studying the Bash Street Kids and trying to work out their signicance to Organic Chemistry..
Not sure if this is something new or not. My other half ran away to Germany on some organised R&D freebee thing the other day. When booking the flights, the company refused to let her fly back on the weekend for compliance purposes. However, I noticed that from 24hrs before her outbound flight, in the exec account, she was able to make changes to both flights via BA rather than directly via the travel agency. We didnt do it, but the change fee was £60 (ticket Ts&Cs) and pleanty of availability – the other note was that if she did change the flights via ba.com, then all subsequent changes would have to be done via BA and not the travel agency. Is this something new or is it just because I havent looked for it previously ? I thought all travel agency bookings had to be changed by the travel agency prior to the 1st outbound flight? OT just a quickie. AW says my wife’s Marriott Rewards due to expire next week. She has no stays but has been earning points through SPG Amex (accounts combined) – this is “activity” right? This is what I was trying to sort out with Amex and SPG the other day. I called Amex to ask them to change my hubby’s old SPG number to the new merged number but was told it was already changed. I have loaded Marriott twice to AW – with the old SPG number and the new combined number. His Amex pts are going into the old SPG account and have an unknown expirry date against it. But when I phoned Amex they say it is correct at their end – while I was on the phone she called SPG rewards and I was able to speak to them too – she said even though I couldn’t see the actual expiry date as long as I had activity ie SPG Amex spend or MR transfer the date is 2 yrs from the last activity. Keep an eye on it though just in case. I have made a purchase on his account via the shopping portal which closes on 15/11 and an MR transfer on my account using the new account number in the hope that it all resets. Still waiting for both points to post to see if it works.